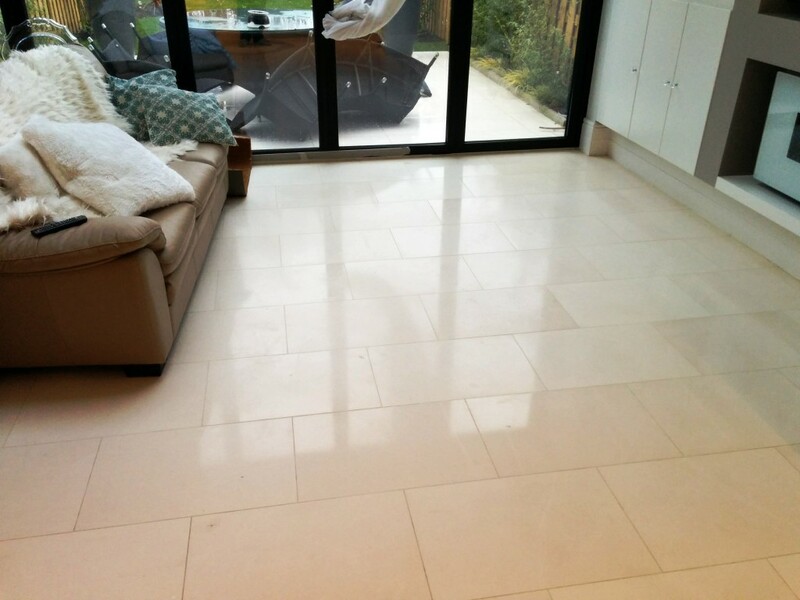 This modern town house in Beckenham had a Limestone tiled floor laid in the family room, kitchen, utility room and hallway. It had been some time since it was last polished and was now starting to look flat and even grubby in places. 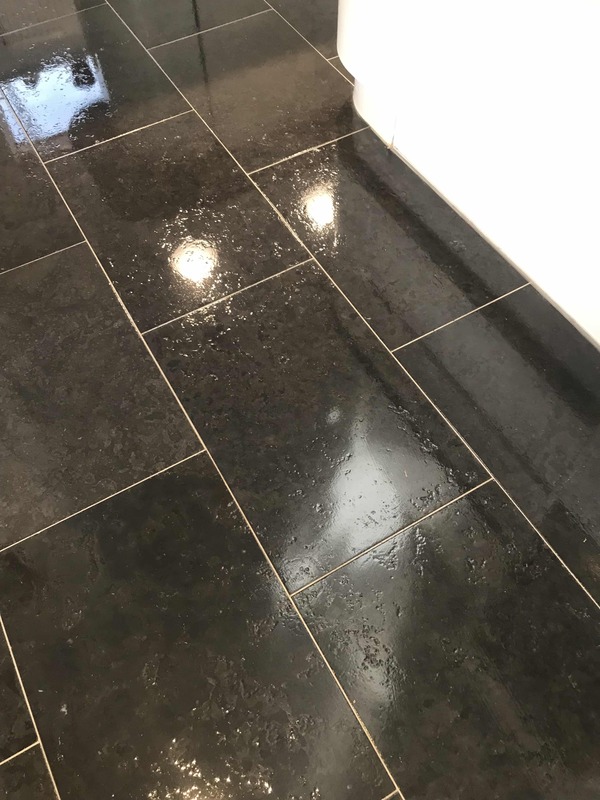 A polished stone floor needs regular attention in order to keep it looking good and this is why we offer a maintenance program where we pop back to the property once a year to top up the sealer and re-polish. In this case a thorough clean, polish and re-seal was required and due to the large area to be cleaned and the need to move furniture around it would have to be done in three stages. 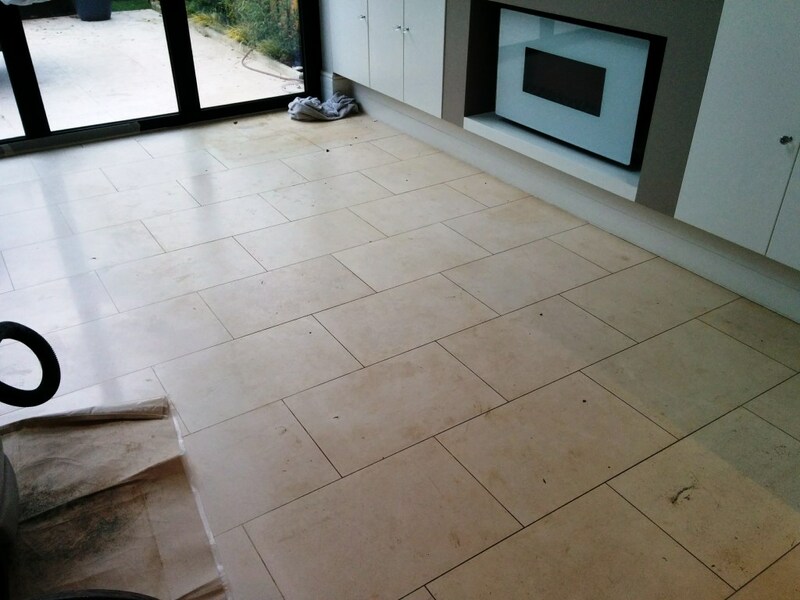 The best way to restore high quality stone like this is to hone the floor using varying grits of abrasive floor pads. 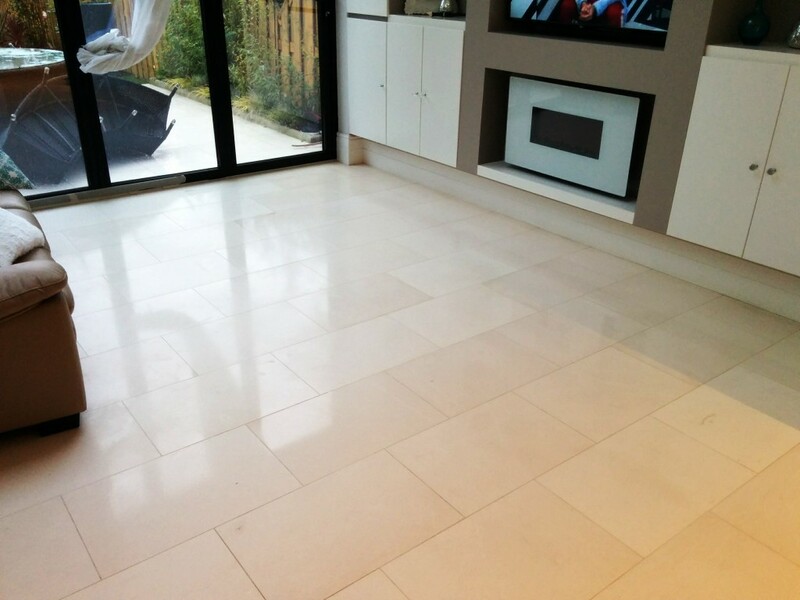 Tile Doctor have developed a technique for this known as burnishing which is a version of stone polishing that involves the application of Diamond encrusted pads. Each pad in the system has its own level of grit and is applied in sequence from Coarse to Very Fine in order to clean and re-hone the finish on the stone. Coarse 400 grit pad lubricated with water, then after rinsing and wet vacuuming the floor with water I moved on to the Medium 800 grit pad, Fine 1500 grit pads. 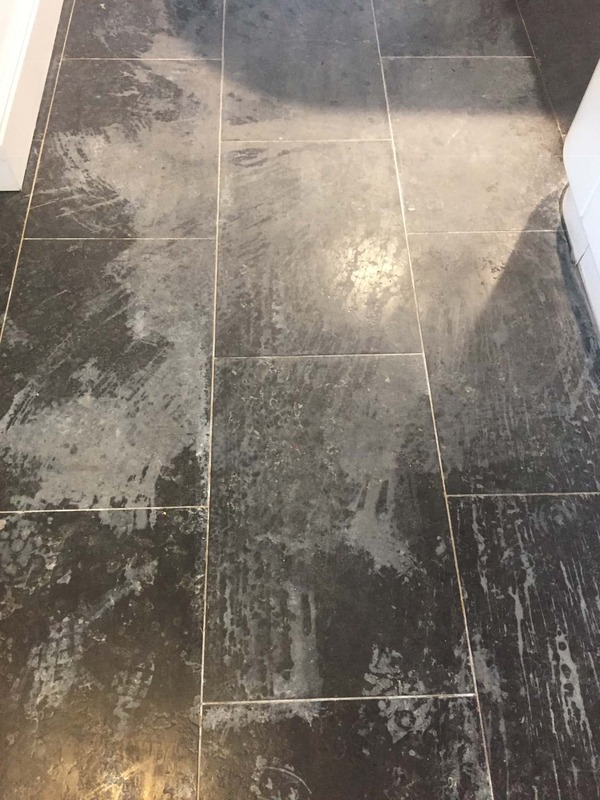 The next step was to get the grout as clean as possible by scrubbing in a medium dilution of Tile Doctor Pro-Clean with a narrow stiff brush. Pro-Clean is a strong alkaline product that is safe to use on Tile and Stone and is a good grout cleaner. 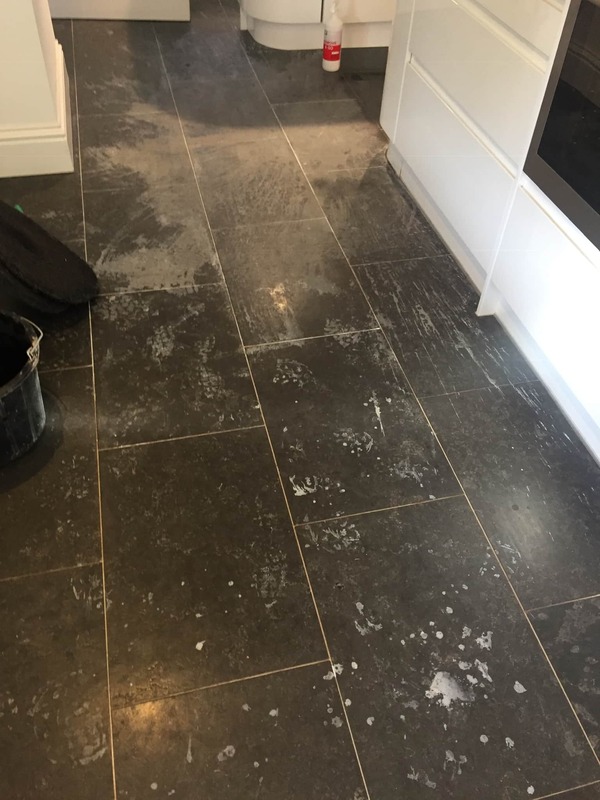 With the Limestone tiles and grout now clean I gave the floor another quick rinse and finished honing the section with a very fine 3000 grit pad that gives the stone a final polish. You don’t need too much lubrication with this last pad, just a spray of water. 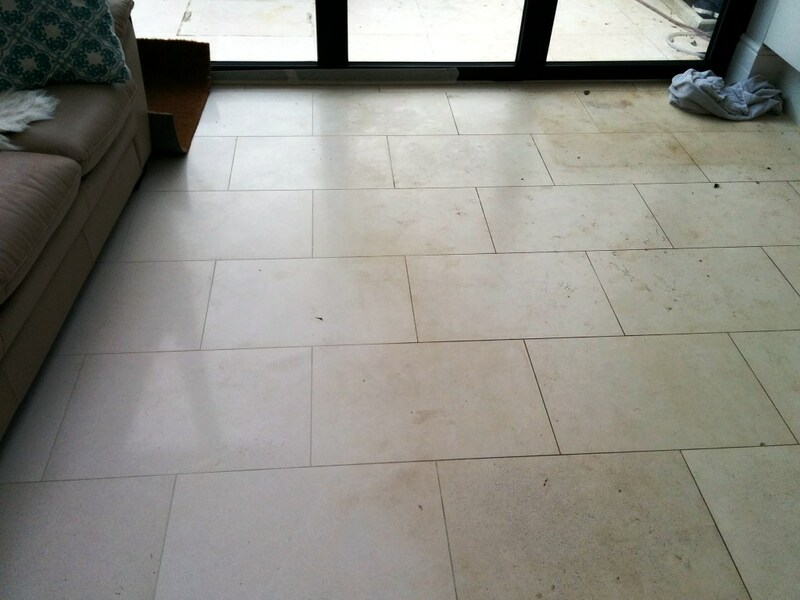 Once the floor section was dry it was sealed with Tile Doctor Colour Grow which is a colour enhancing impregnated sealer that protects from within and really brings out the brown colours in the Limestone. 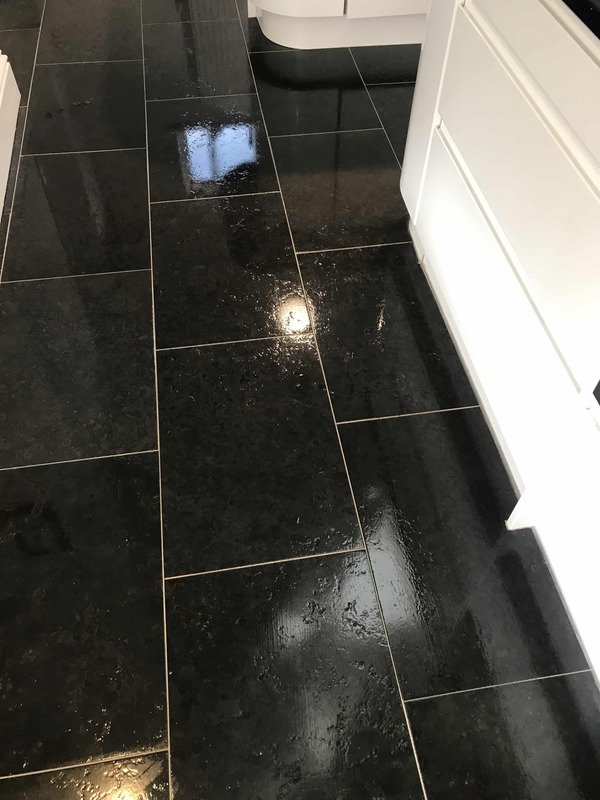 Once the sealer was dry I polished the floor using Tile Doctor Shine Powder which is a stone polishing compound that is worked into the floor wet, left to dry and then buffed off with a white buffing pad to leave a durable high shine on the stone. As I mentioned at the start this was a large area that had to be completed in three sections, so it took a few days in order to complete the whole floor. It was worth waiting for however and the customer was very pleased with the finish. 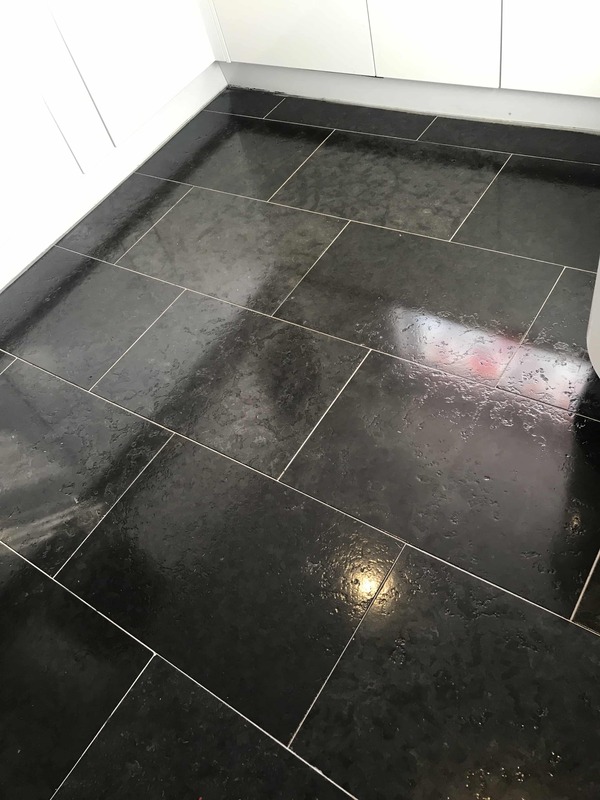 For general day to day cleaning of polished stone we recommend using Tile Doctor Stone Soap which not only cleans but also adds patina to the finish, I left with a complimentary bottle, so she could try it.